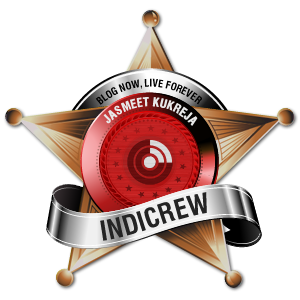 WandersandWords: Joy of freedom ….. 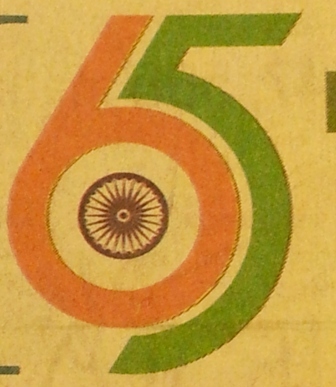 Happy 66th Independence Day to All! The chronicles and memoirs of our Indian civilization prove the value of our existence today. No matter where we are, we celebrate and raise the Indian flag with the same proud as it was uncurled 65 years ago. Does it matter, in what age you are? No, you will always stand on your feet with respect and honor when you hear national anthem “Jana Gana mana” at any corner of the world. 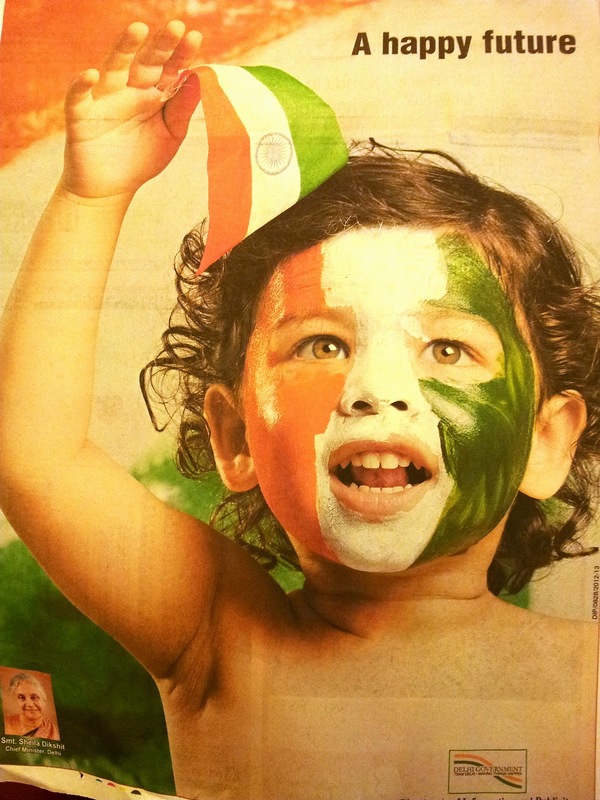 Since childhood we know the concernment of the Indian flag, The Colors: Saffron, White, Green and blue. The deep saffron color also called “symbol of Hinduism” shows the courage and sacrifice. The white color is the epitome of peace, purity, integrity and truth. The green color is the emblem of development, fertility, culture and auspiciousness. The color of chakra, blue is the symbol of sky (5th element) and waves of ocean. The chakra has 24 spokes, representing 24 hours in a day. “Saare jhan se acha hindustan humara, hum bulbule hain iske, ye gulistan humara”….reminds me all those memories i cherished in my childhood. We sing, we dance, we pray, we hold each others hand, we raise flag and we bow down our heads with grace. 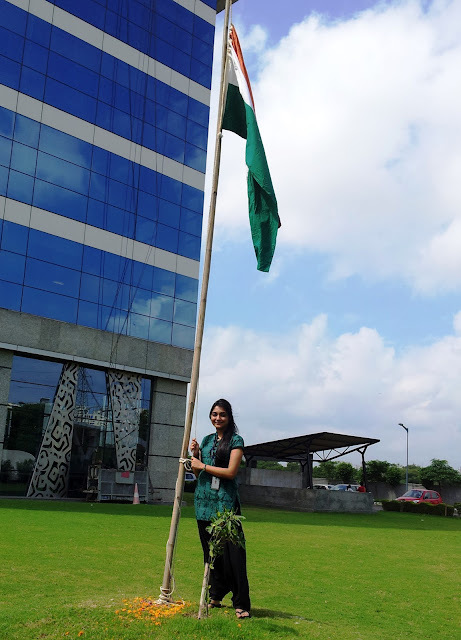 We value the symbolism and we know it is not only the flag which waves in the air on Independence Day but it reminds the sacrifices; our freedom fighters had given to make our nation free. Anna Hazare, the voice against corruption has the resemblance to all those freedom fighters who immolate their lives for nation. Can you forget those great people who struggled for India’s independence from the colonical rule? 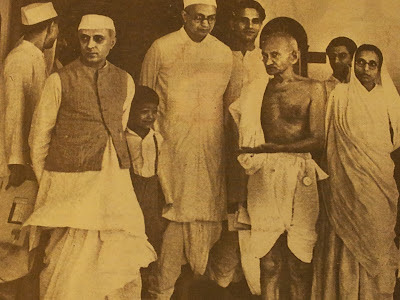 No, we can never, those prominent leaders were not were but are still living in our hearts and will always………. Mahatma Gandhi, Bhagat Singh, Netaji Subhas Chandra bose, Bal gangadhar Tilak, Dr. Bhimrao Ambedkar, Chandra shekhar Azad, Lala Lajpat Rai, Lal Bahadur Shastri, Sarojini Naidu, Sukhdev, RabindraNath Tagore, Rani Laxmi bai, Mangal Pandey, Udham Singh, and thousands laid down their lives so that our country can breathe this day, never forget their sacrifice. Nice post. Our effort should be towards the overall growth and development of the country and not that of a handful of persons. Wonderful post! I wish every Indian comes forward for the Nations glory. We need to join hands then only something good can happen :) Take care dear! Thanks s lot for sharing ...well said we need to come forward together rather being asking the change from Government or society we need to be the changing glory for the world! Many of them are rife with spelling problems and I find it very troublesome to tell the reality on the other hand I will surely come back again.